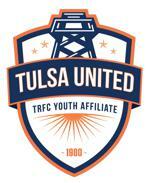 For real-time information (a) go to https://www.facebook.com and LIKE "Metro Tulsa Soccer Clubs United", OR (b) for real-time information, go to https://www.Twitter.com and follow "MetroTulsaSC", OR (c) look to the right for a delayed posting of MTsc tweets based on Twitter's information feed. Recognize the responsiveness of the feed is technology driven by Twitter and Sportsengine (MTsc's website host provider) and therefore expect to continually refresh the homepage for delayed information to become available. Also note that responsiveness may also be impacted by the browser you are using. Fire Fox/Mozilla, Google Chrome and Safari have been found to occasionally be more responsive than Internet Explorer.